Small town on the southbank of the river Lek. Founded shortly after 1250, when a castle was built. Originally an autonomous principality, Vianen became part of the peovince of Holland in 1725. 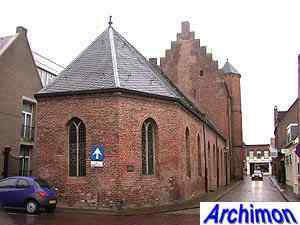 In 2002 the town and several surrounding villages were transfered to the province of Utrecht. Part of the Vianen municipality are the villages of Hagestein, Everdingen and Zijderveld as well as the hamlet Helsdingen. 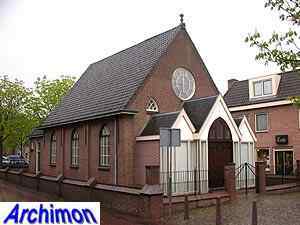 The reformed church is a three-aisled cruciform hall-church in Gothic style. The oldest part is the tower, most of which dates from the 14th century. That same century a chapel was replaced by a pseudo-basilical church. Most of its current appearance dates from after 1540, when the side-aisles were enlarged and the church was transformed into a hall-church. 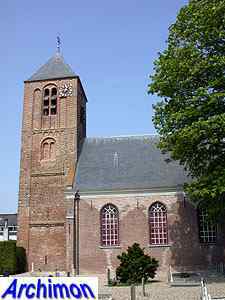 The Gasthuiskapel (hospital chapel) dates from the 15th century and served as Walloon church between 1725 and 1822. 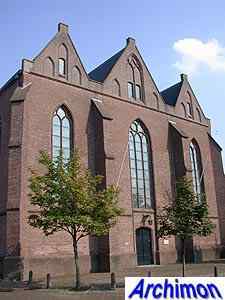 The Eben Haëzerkerk was built in 1888 for the calvinist Gereformeerden denomination. In 1975 it was taken over by the reformed, after which several changes were made to the front of the church. The Roman Catholic O.L. 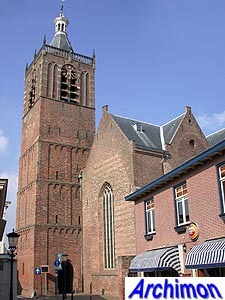 Vrouwe Hemelvaart is a three-aisled hall-church in neo-Gothic style. The church was built in 1877-1878 and was designed by architect A. Tepe. The reformed church of Hagestein has a Romanesque tower from the 13th century. The original church was destroyed in 1600. The current church in simple neo-Classical style dates from 1829-1830.